The beginning was in the heart of one man from the age of 16, believing even at that young age that he and the family he did not yet have, would own and operate a funeral home. Raymond “Ray” Duhon, a native of Sulphur Louisiana, graduated from the Sulphur High School in 1954 and joined the US Army serving in the Korean Conflict. He married Joyce Leger, his lifelong partner on September 2, 1961. The Duhon Funeral Home part of the history truly began with Ray graduating from Baylor University College of Mortuary Science in 1961. He began working as a funeral director and embalmer in Baton Rouge, then Breaux Bridge, DeRidder and finally Lafayette. While working in Lafayette Ray was asked to manage several funeral homes in Lafayette, Church Point, Youngsville, and Crowley. Stepping from worker/manager into the legacy that remains today began with the purchase of the first funeral home by Ray and Joyce Duhon on August 13, 1974. This legacy was born with the motto of “Our Family Serving Your Family in the Time of Need” and for many years it was very much a family operation. The present Church Point location was completed in 1987. In 1991 the Crowley location was added and in 1995 the Rayne location was completed. The original Church Point building then on the location of the current Acadia Parish Health Unit, is no longer there; also no longer there is the location on Martin Luther King Drive, but the legacy which was in the beginning lives on. Much has changed since the dream began, and the dream, as big as it was, has grown. 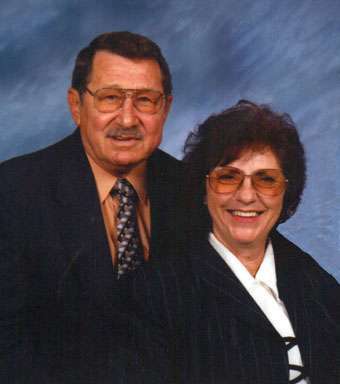 On August 3, 2009 Ray Duhon’s dream was passed on when it was purchased by Melinda, the daughter of Ray and Joyce Duhon, and her husband Randall Arabie. As a child which grows from the foundation instilled by the parents, Duhon Funeral Home, now doing business as Duhon Funeral Home LLC, still grows and benefits from the foundation of “Our Family Serving Your family in the Time of Need”. From that foundation radiates the heartbeat of the new owners, focusing on the importance of being there for others at the most difficult time of their lives by showing concern, compassion, and understanding. 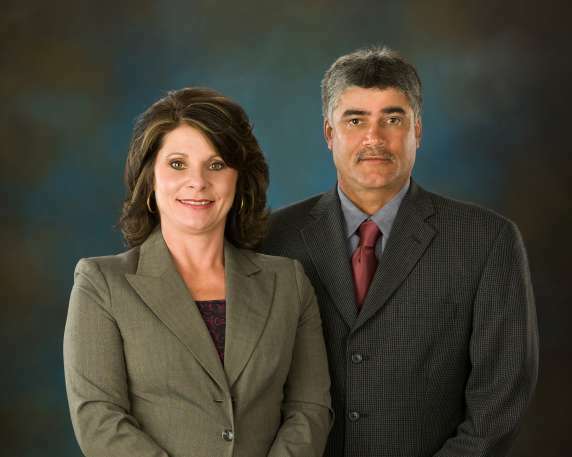 Randall and Melinda D. Arabie became the second generation of caring, compassionate, and understanding owners of Duhon Funeral Home LLC on August 6, 2009. Randall is a 1980 graduate of Church Point High School. He holds a Commercial Pilot Certificate and served many Acadia Parish farmers as a crop duster pilot for some years. Since 1999 Randall has been employed by Petroleum Helicopter Inc. as an airframe & power plant mechanic. Melinda is a 1984 graduate of Church Point High School. 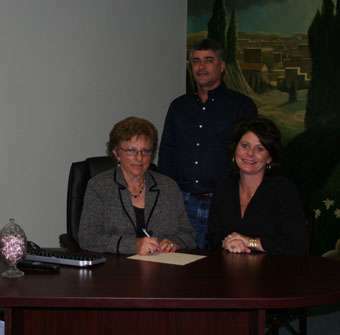 She was first employed by Duhon Funeral Home in 1992 as the family accountant.Upon completion of college she became a licensed funeral director in 2009. Randall and Melinda are the parents of three children, Adrienne, Dustin, and Shawn, as well as the proud grandparents of two grandsons, Jayden and Courbin. The family is very active as members of the St. Edward Catholic Church in Richard. They are supporters of the Charlene Richard Orphan Home in Thailand, as well as other charities and organizations. They are dedicated to family, where values, morals, and faith are important. They enjoy spending quality time as a family at home and on vacation outings. Duhon Funeral Home LLC is the same dream and yet now much more as it grows and strives to compassionately and professionally meet the changing needs of each new generation.